One Plus, a brand known to everyone in the world now, took their motto “Never Settle” very seriously. More than four years back a new company came into the smartphone market with a device that was tagged as a flagship killer and took the entire world with a storm. The One Plus One was a technological marvel in every sense. At the time no one would have thought that it was possible to deliver such high specs at a price which was way lower than its competitors. One Plus’ devices are made to compete amongst the best and still be way cheaper than the rest. Recently, One Plus released their latest flagship device, the One Plus 6. In the world where companies struggle in launching one device a year, One Plus follows their schedule of two launches per year. Only six months back One Plus released their One Plus 5T which was a major hit around the world. The best thing about One Plus is that with every new launch, they have something very new to offer to its customers. This phone has launched on Amazon. Amazon is also offering some amazing discount and offers on this smartphone. Get Amazon coupons and avail up to Rs.2000/- cashback. Let’s talk about this device in a bit detail. Since their beginning, the One Plus has been the flagship killer and set to defeat the more expensive high end devices. Like before, the One Plus six is loaded with top notch specifications. With the latest qualcomm snapdragon 845 processor, an upgrade in the interface and specially the camera department will be visible. 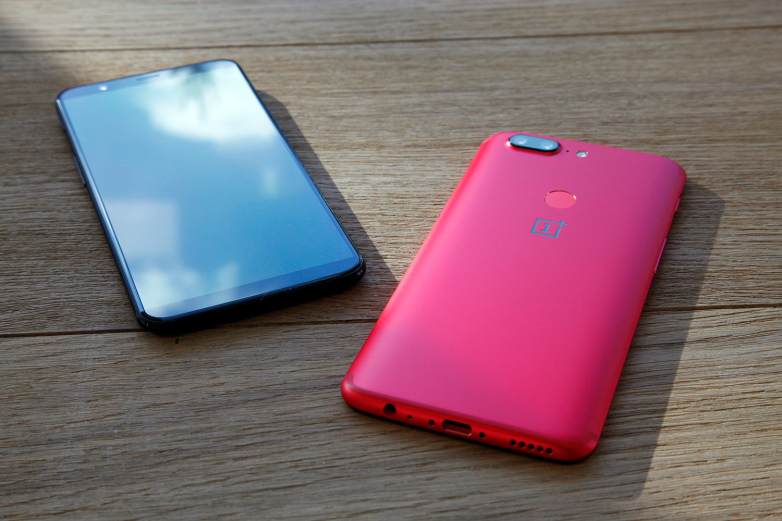 It is expected that the One Plus six will launch in two models, one normal and the other one is a promotional model for Avengers. When it comes to the memory department, the device will come with 6 or 8 GB of RAM and an internal memory of 64GB/128GB/256GB. The primary camera is a dual camera setup with one of the lens being 16 MP shooters while the other one is a 20MP one. The front selfie camera is a 16 MP shooter and would be adequate for some great selfies. A battery of 3300 mAh is going to support this huge display which would easily provide backup for more than a day. The first major thing that you notice when you first hold this modern marvel is the all new glass back. This was a thing about One Plus devices, they always came with metal backs but in One Plus six, it is the first time they have used a glass back. This gives a really stunning look to the device and adds to its physical appeal. There were things like wireless charging, which were expected from One Plus six as there is that glass in the back, but sadly there is no wireless charging for this device. This device comes in three different colours. One is a white shade with rose gold colour detailing and a soft feel. The other two are different shades of black, one being mirror finish while the other one has more of a matt finish. The alert slider is also shifted from the left side of the device to the right side where it is placed over the power button. Last year, the only explanation for the launch of One Plus 5T was due to the new trend in the market, the 18:9 ratio display. Every brand focuses on getting their screen a taller look. But another phone launched last year, the Iphone X, which changed the display trend, yet again. Since the launch of IPhone X, every brand is now taking their shot at the full view display with a little notch. One Plus have also taken care of that and introduced a full body display for the One Plus six with a minimal chin at the bottom. The screen is a 6.3-inch full HD+ display with a resolution of 1080*2280. Now you can easily enjoy all the media consumption on this amazing device. From above all the aspects, OnePlus 6 is one of the best phone to buy this year. If you have a good budget then you can shop this phone. This smartphone is available only on Amazon. You can use Amazon promo code to avail flat Rs.2000/- discount on your shopping. So, if you are ready to purchase this phone then you must check out when this phone is available because Amazon offers very limited quantities of this phone.